Philippines-based charity event, TokuSpirits, is in the midst of controversy at the conclusion of its 2017 run this past weekend. TokuSpirits came into fruition as a charity event in March of 2016 in San Fernando City, Pampanga to benefit local organization Kids Cancer Vibe, that provides medical assistance to children battling cancer. The event was well-received by fans, attendees, and organizers alike. The following year marked a partnership with another Philippine-based event, Otaku Expo, in which TokuSpirits and Otaku Expo would take place concurrently the weekend of August 12-13 2017 in SM Megamall in Metro Manila, the country’s capital, and around 70 kilometers south of the Pampanga area. At its conclusion, however, Hikari Sentai Maskman’s Kazunori Inaba, also known by his stage name Ryousuke Kaizu, publicly posted on his Facebook page noting that Otaku Expo’s organizer, Dennis Uy, reneged on its verbal and legal contracts with TokuSpirits, as well as fail to provide assistance with talent fees, airfare, and hotel arrangements. We want to thank everyone who came out to OTAKUexpo. For those who couldn’t make it, but showed their support in some way, we want to express our sincere thanks to you all the same. I have an important message for you all. OTAKUexpo, Otakuzine Anime Magazine, Dennis Uy didn’t follow through with any verbal and legal agreements initially made with TOKU SPIRITS. This is very unfortunate. Neither did they provide any assistance with talent fees, airfare, or hotel arrangements. There were plans to deliver an even more spectacular stage performance than was experienced this past weekend. However, due to unfortunate circumstances, sudden changes had to be made. We want to extend our sincere apologies to all of you, our wonderful fans. Previous event fees also have not been paid in full as per contractual agreement. Going forward, Japanese talents, singers, and animators will not be making any appearances at OTAKUexpo, Otakuzine Anime Magazine, Dennis Uy related events. This is to prevent any further horrible belittling acts towards Japanese. I do not want other Japanese to dislike the Philippines in any way. Therefore, it is my full responsibility to forewarn other Japanese talents, singers and animators to decline further OTAKUexpo, Otakuzine Anime Magazine Dennis Uy related offers and appearances. The end result will be a decrease in opportunities for fans to meet with Japanese talents, singers and animators. A sad situation indeed. Only if Dennis Uy acknowledges that he will pay his debts in full and apologizes in a sincere manner, then just maybe the doors will open again for Japanese entertainers to return to the Philippines. Everyone please help share the contents of this message. Let’s spread the Tokusatsu Love. In addition to Kazunori Inaba, TokuSpirits’ tokusatsu guests included Michiko Makino (Bioman), Toshihide Wakamatsu (Jetman), Ei Hamura (Dairanger), Kei Shindachiya (Fiveman), and Kenta Sato (Turboranger). The guests also posted or commented about their experiences and thoughts regarding the situation through their social media, namely focusing attending the event without payment as to not disappoint the attendees who purchased their tickets and looked forward to meeting them. These included Ei Hamura and Toshihide Wakamatsu. The event in the Philippines opened with huge success. For this event in the Philippines, the state of affairs has caused us attendees mistrust. The details that Anne, the wife of Ryosuke Kaizu (Red Mask), has shared is all true. It’s difficult to put into words but the gist of it is that the person who was in charge of Otaku Expo refused to pay the promised fee right before the event. We had an alternative choice to also suspend our attendance. Of course, we couldn’t tell our fans the truth at that time When we returned home, Mr. and Mrs. Kaizu messaged Danny in English to ensure that this sort of thing would never happen again. I’m not sure how to exactly phrase this but, the person in charge had the impudence to come to our booth and ask us for an autograph. However, when he did come by, a bunch of men including Hamura gave him this awesomely silent scowl. Until I went to the Philippines, I didn’t understand the circumstances, and Tagalog was incoherent. The reason why Japan’s Eventer doesn’t really help out with Southeast Asian events is that this kind of stuff is a frequently occurring. But for us, we had a lot of support from our friend An who is a Filipino, our friends there, as well as our new sponsor. It became a huge success because we cut off just the event and combining the six of our feelings into one. A lot of things happened but we were able to settle everything with a smile. We were able to see one aspect of everyone’s view. We were also able to strengthen our bonds as we overcame a mountain of a problem. And most of all, we had a lot of help from Anne, whose homeland is the Philippines. 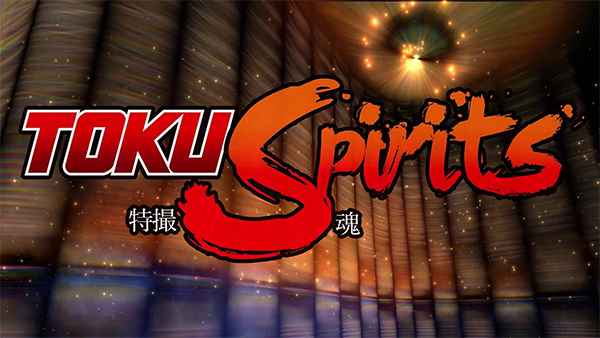 We attended Otaku Expo’s Toku Spirits. We shared the same room as Otaku Expo, but it was run primarily by Toku Spirits and their sponsor J-Fusion. The legal settlement with Otaku Expo is still being worked out however, we will be sure to see it through with the Mr. and Mrs. Kaizu. I also want to thank everyone in the Philippines who helped us out and Mr. and Mrs. Kaizu who is bearing the full burden of this; and everyone who helped them out. We were able to see everyone show their heroic essence. It was really heartful. Although it is really sad that this happened, we love our Filipino fans. First of all, I would personally like to thank everyone who attended and supported Otaku Expo Reload 2017. From Sponsors to Exhibitors and event attendees, thank you for the support. I would like to clarify a few things that was posted through social media about the event. Since I already told her that it won’t be possible for us to cover the cost. She informed me that thousands of fans would be availing the meet and greet. So I suggested, and she agreed that they will be the one handling everything unless they can provide me a certain number to break even the cost. (So im not looking to earn from this) Since she is the one insisting that they have the number to cover everything. (Ball park figure… you could buy a decent SUV) Instead, I will be providing venue space, posters, 4R prints and stage time (for performance and auction) which I provided for them during event without any contract, agreement or anything. Now with regards to the balance, yes it’s true. But we have a signed letter drafted by her lawyer and agreed by my lawyer for the terms of payment, so in my knowledge, I think, that matter should have been closed. At the time of this writing, no further public comment is available from either Dennis Uy or Georgette and Kazunori Inaba regarding the situation and if any legal or financial ramifications will be pursued. Huh? That’s basically nothing. Why would the entertainers want to go to the event at all?